The GEM Lab is part of the HCI, Graphics, and Visualization research cluster within Dalhousie’s Faculty of Computer Science. We conduct research in the areas of mobile, ubiquitous, and embodied interaction, gaming and new media, mixed/virtual/augmented reality, and visualization. By-products of our research have found applications in areas such as healthcare, digitally enhanced manufacturing, geo-spatial information systems, interactive media, and personal visual analytics. Our lab has received funding from NSERC, DRDC, Boeing, Lockheed Martin, GRAND NCE, NSBI, and MITACS, among other sources. We regularly collaborate with other faculty members and students within the cluster, including Dr. Rita Orji, Dr. Stephen Brooks, Dr. Bonnie MacKay, Dr. Kirstie Hawkey, and Dr. Jamie Blustein. 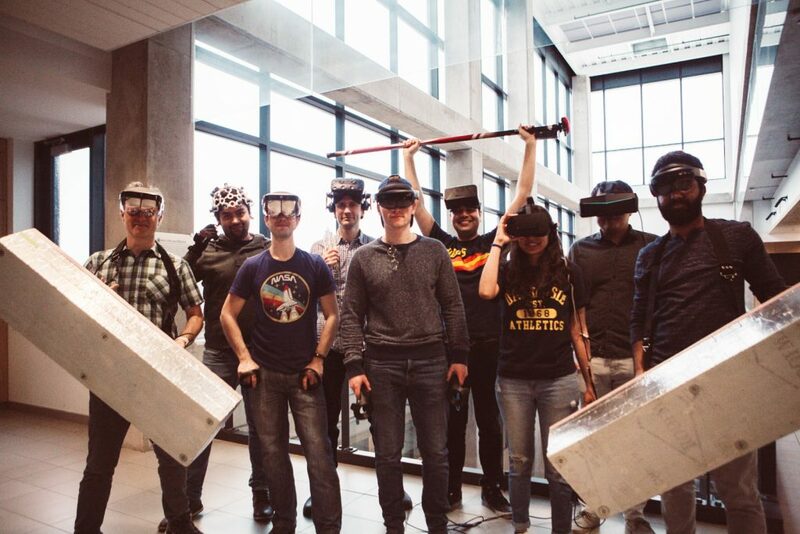 We also collaborate with researchers across the Faculty of Computer Science, and others in the School of Architecture, in Anthopology, Engineering, and NSCAD’s Media Arts program.